Since 1955, Dallas-based retailer Neiman Marcus has placed an increasingly outlandish series of “fantasy” gift items in the pages of its Christmas Book catalog, which is mailed to more than 750,000 homes[PDF] and results in priceless press coverage. The latter is the reason why you’ll see a $35 million Boeing jet offered alongside a $35 bartending set. Despite the “fantasy” and “stunt” labels, all the gifts in the Book are real and ready to ship to legitimate buyers, and roughly half of them get sold each year. Reeder, who has overseen the catalog for 20 years and sifts through more than 200 proposals annually, was kind enough to walk us through some of the company’s more notable offerings—including the time they inadvertently delivered a dead body. For a time, Neiman Marcus was in the zoological business, offering a variety of ostriches, baby elephants, and other exotic animals to consumers who were apparently bored of domesticated pets. “We sold one camel to a woman in Ft. Worth,” Reeder says. “She had bought it for her mother. As the story goes, they were watching television and a story about the sale came on. Her mother said, ‘I wonder who that’s for. It’s so stupid.’ And the camel was right outside her door.” At last report, the camel was said to be easily annoyed and spat constantly. For Reeder’s first official year on the job, she worked with Bauman Books and a librarian to curate 90 first editions of influential novels, including The Great Gatsby and The Catcher in the Rye, many signed by their author. “Coming up with the list took six months,” she says. While the entire set never sold, Neiman Marcus got more than 600 calls asking for the titles of all the books on the list. 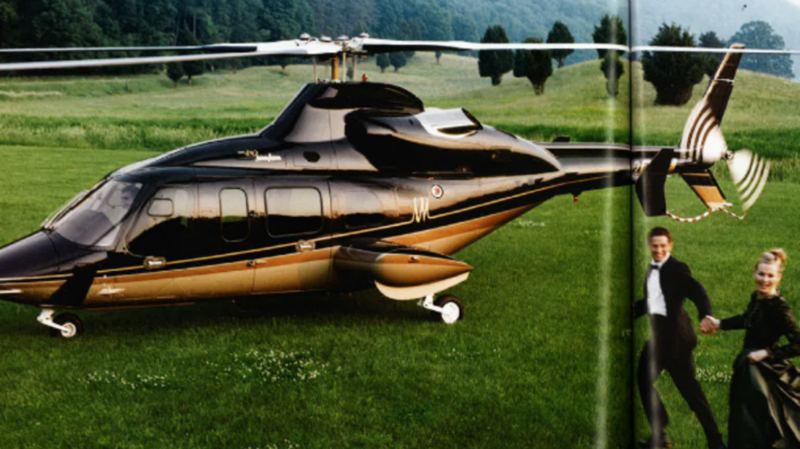 That same year, Neiman Marcus scored one of their biggest headlines ever when they offered a Bell 430 helicopter with a company logo woven into the carpeting. “We’re not actually licensed to sell cars or helicopters, so we deal directly with a vendor,” Reeder says. It remains the priciest fantasy gift item to ever find a buyer. Men and women alike were afforded an opportunity to be measured for a custom-fit suit of armor faithful to the steel tailoring standards of the 15th century. Reeder says one was sold to a Connecticut couple for their adult son. Artists Michael Galbreth and Jack Massing erected this 7-foot-tall sculpture using #2 pencils. “I knew the Art Guys, who made the sculpture, from Houston and had always wanted to offer a piece by them,” Reeder says. Described by the company as a “bespoke, Versailles-inspired Le Peit Trianon” building, this ornate hen house promised nirvana for its chicken occupants. “We actually advanced funds to the vendor so she could build one for the photo shoot,” Reeder says. “It never sold, but we got publicity on the Today show for it.” The coop featured a nesting area, a farming book library, and a chandelier. Why a chandelier? “You’d have to ask the designer,” Reeder says. "I don't know." All images courtesy of Neiman Marcus unless otherwise credited.